Nap, scratch, and play are the words of the day when cats enjoy the fun features of the Go Pet Club Cat Tree Furniture 55 in. High. 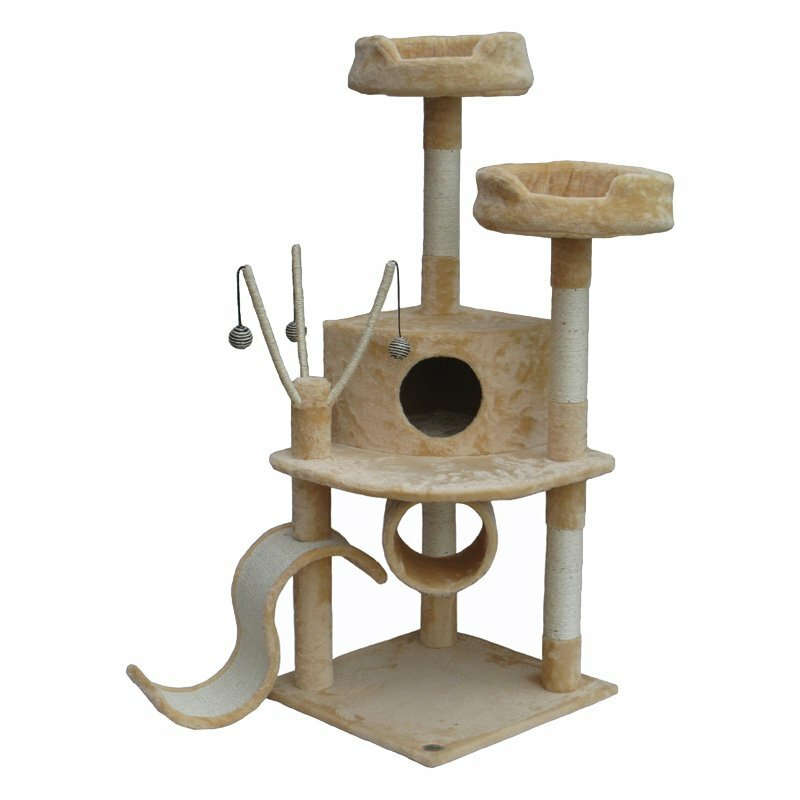 This quality cat condo features a sturdy construction with soft faux fur in beige upholstery for comfy lounging and sisal rope posts for safe scratching. It features a cat house for sleeping or hiding and fun hanging toys that keep curious kitties occupied. · Multi-level cat tower · Soft faux fur upholstery in beige · Sisal rope posts for scratching · Hanging toys and S scratching mat · Dimensions: 38L x 30W x 55H in.